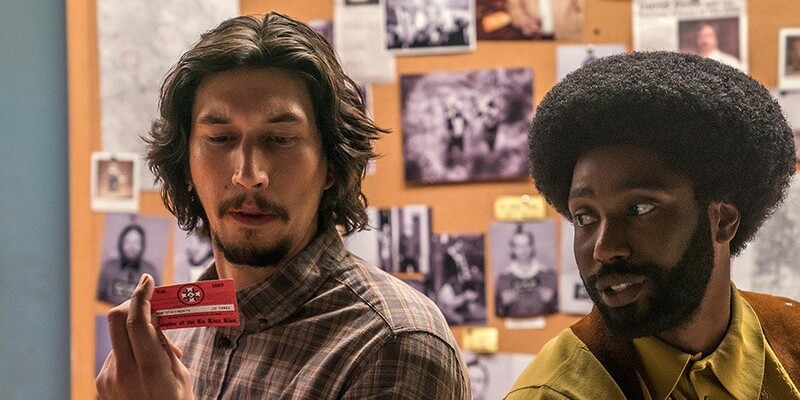 Huge congrats to Lori Kay Allred for her contributions to Spike Lee’s “BlacKkKlansman.” This film was partially filmed in Colorado where it takes place. Allred served as Production Manager and scout. Before a scheduling conflict with another shoot, she was potentially going to walk the August red carpet premiere in LA. This spring, the film won the Grand Prize of the Jury from the Cannes Film Festival. Speaking of carpets, kudos to Scott Takeda for the September premiere of Hulu’s “The First.” Takeda recurs as a guest star in this series by Beau Willimon (“House of Cards”). The show follows the lives of the people working on the first manned mission to Mars and stars Sean Penn, Natascha McElhone, Lisa Gay Hamilton, Hannah Ware, and Keiko Agena. And quick kudos to Mike Ostroski (cast member of “Remembering Us”) for booking a costarring role on ABC’s “The Rookie.” His cast mate Nev Scharrel booked a recurring role on FOX’s “9-1-1.” And cast mate Denielle Fisher Johnson booked a nice costar role on the Emmy nominated “Better Call Saul” on AMC. BS Filmworks’ Lori Kay Allred continues to rack up recognition and official selections for her screenplays. This summer she has traveling around the country to festivals representing BS Filmworks. In November, her feature screenplay “Secrets” is heading north of the border as an official selection of the 13th Annual Hamilton Film Festival. This top-rated Canadian film festival regularly attracts thousands to this southern Ontario port city. “Secrets” has also gotten nods from Emerging Screenwriters and Cindependent Film Festival in Cincinnati. Allred’s TV pilot screenplay “Conversations At 35,000 Feet” got accepted into the Georgia Shorts Film Festival in Atlanta. Summer Updates For "Remembering Us"
Gaffer Jeff Pointer checks the lighting while actors Adam Odette and Nev Scharrel take direction from director Lori Kay Allred. Now that the temps are heating up, we are ramping up for the third shoot of our autobiographical film "Remembering Us." "Our summer shoot is when our story heats to a boil," said producer Brock Sherman. "The winter shoot set up the traumatic brain injury story; and the spring shoot showed how our characters are dealing with the after-effects. Now we're exploring the fear and conflict that families go through when someone has a TBI. The stigma can be overwhelming for the patient, often leaving the caregivers with the burden of hiding it." Two stage veterans are joining our cast for the summer shoot. Anastasia Davidson plays the major supporting role of Sam. She recently graduated with an MFA in acting from Penn State University. She's a member of the Colorado Shakespeare Company and the Boulder Ensemble Theatre Company. She's represented by Radical Artist Agency. Diana Dresser plays the supporting role of Joanie. She's a member of the Stories On Stage theater company. On screen, she most recently appeared in the feature "Searching For Fortune" opposite the late John Heard ("Home Alone") and Christina Moore ("True Blood"). She is represented by Donna Baldwin Agency. The Austin Revolution Film Festival (ARFF) just announced their nominees for the Randall Greenland Screenwriter of the Year Award, and BS Filmworks' Lori Kay Allred is one of eleven nominees. The award is given to the best overall screenwriter and named after a famed Austin screenwriter. "Wow, wow, wow," said Allred. "This is entirely unexpected. ARFF nominated my feature screenplay "Secrets" for best screenplay in 2017, so I guess I've been on their radar, but this catches me entirely off guard. I'm incredibly honored." ARFF also announced that Allred's screenplay "Conversations at 35,000 Feet" is a finalist for Best Screenplay-Short." The winner will be announced at the 2018 Festival in mid September. Lately, Allred's screenplays have been getting a lot of attention from festival jurors. Besides her finalist nomination at ARFF, "Conversations" was made an official selection at Copper Mountain Film Festival and a quarter-finalist for the Golden Script Competition. "Secrets" also was named an official selection at Copper Mountain as well as Sacremento International Film Festival and Omaha Film Festival.